Born in Belgium, Ryan is in his fourth year of the BMus (Hons) course at the Royal Northern College of Music under the tutelage of Helen Krizos. He previously studied with Seta Tanyel at Tonbridge School where he was a music scholar. Ryan has won a number of prizes at the RNCM. Most recently, he won the Piano Recital Prize. 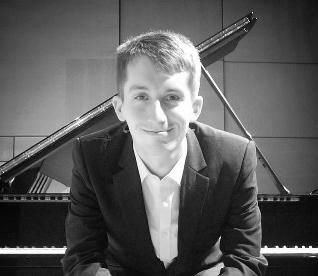 In addition, he was a prize winner in the 2013 RNCM concerto competition and subsequently played Tchaikovsky’s Piano Concerto No.1, Op.23 with the RNCM Symphony Orchestra in the Bridgewater Hall in Manchester in June 2014. Ryan has also been awarded first prize in the Mark Ray Memorial Prize, the prestigious Chopin Prize, the Shirley Catterall Award and the Marjorie Clementi Memorial Award for the student receiving the highest mark in the first and second year Piano Recital exam. Outside of the RNCM, Ryan was awarded second prize in the 2012 Moray Piano Competition held in Scotland. He was also a recipient of the Yehudi Menuhin English Speaking Union Scholarship and attended the Piano Masterclass International Series at Banff Arts Centre in Canada. He has performed in masterclasses for renowned pianists including Abdel Rahman El Bacha, Andrei Gavrilov, John Perry, Kathryn Stott, Michel Béroff, Nelita True, Nelson Goerner, Pascal Rogé, Philippe Cassard and Stefano Fiuzzi. A passionate chamber musician, Ryan attended the Pro Corda International Chamber Music Academy for many years through which he received opportunities to perform at numerous distinguished venues including the Wigmore Hall. Ryan has received coaching from Alice Neary, Hugh Maguire, Jeremy Young, Julius Drake, Kenneth Sillito, Philip Higham and Ralph Kirshbaum, and from members of the Allegri, Castallian, Elias, Škampa and Talich string quartets. Also in demand as an accompanist, he was awarded first prize in the piano section of the Elsie Thurston singing competition and the Sir John Barbirolli cello competition. In addition, he and his piano duo partner Victor Lim won the RNCM Piano Duo prize. Forthcoming engagements include recitals in Aberdeen, Cambridge, Isle of Man, London and Manchester where Ryan will present programmes of solo, chamber and concerto works.